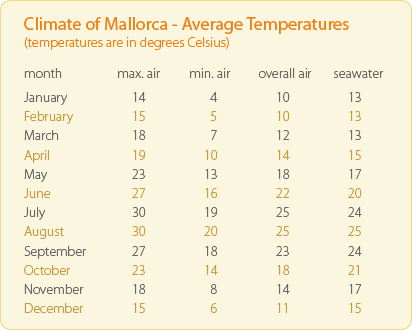 The weather in Mallorca is typical Mediterranean with a yearly average temperature of about 20 °C and an average of 300 sunny days a year. 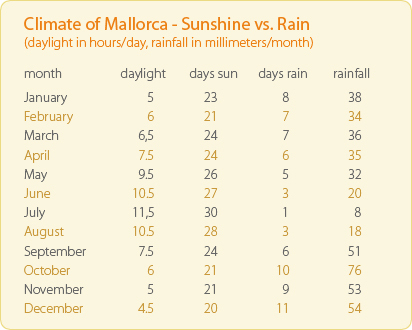 This makes Mallorca a popular tourist destination for the majority of the year. The summer months are the hottest with temperatures ranging between 20 - 30 °C around June -September. These months are also the busiest months for tourism.